Support Microsoft Outlook 2016 & below version(32 & 64 Bit). PST Recovery Tool is enhanced with high-quality features which easily recover attributes such as Calendars, Contact etc. From the corrupt Outlook data file. 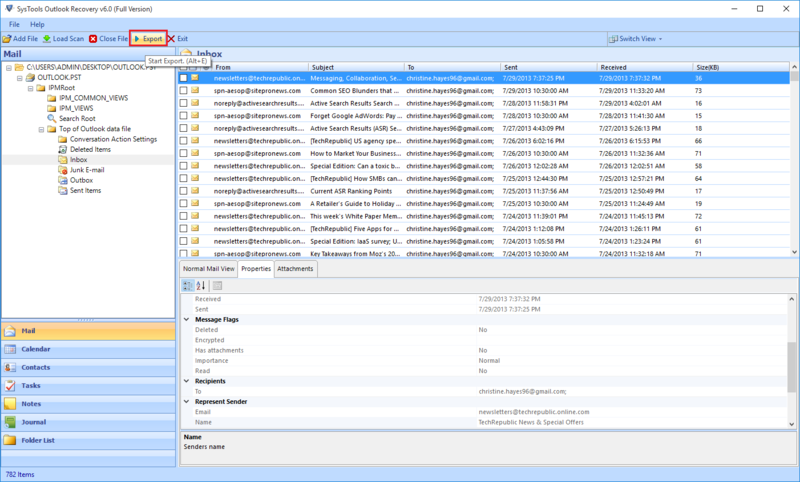 It allows you to retrieve outlook data into multiple formats such as PST/EML/MSG. You can export selective file or folder by check or uncheck on desired emails. To export bulk data you can use the Export option from the navigation bar. PST Recovery tool also provides you to export outlook data according to specified date range using date filter option. You can break large PST files into multiple small PST file using Split PST option. This provides you the freedom to manage the PST files effectively. The minimum size of PST can be 100 MB & Maximum size Up to 45 GB. 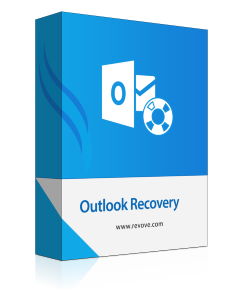 Outlook Recovery tool provides you the flexibility to recover Soft & Permanent deleted an email, contacts, calendars, task, journals. 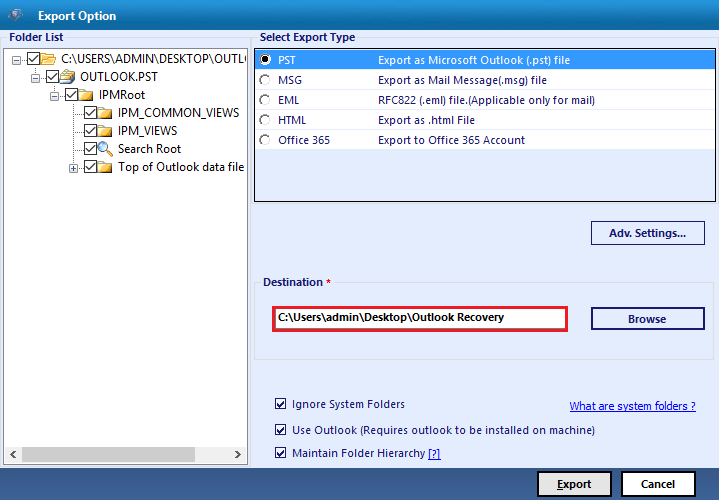 The soft deleted files can easily be recovered but for permanently deleted outlook data you have to use Advance mode. Support: Windows10, Windows 8.1 & all below versions of Windows. How much time will it take to repair corrupt outlook data file? 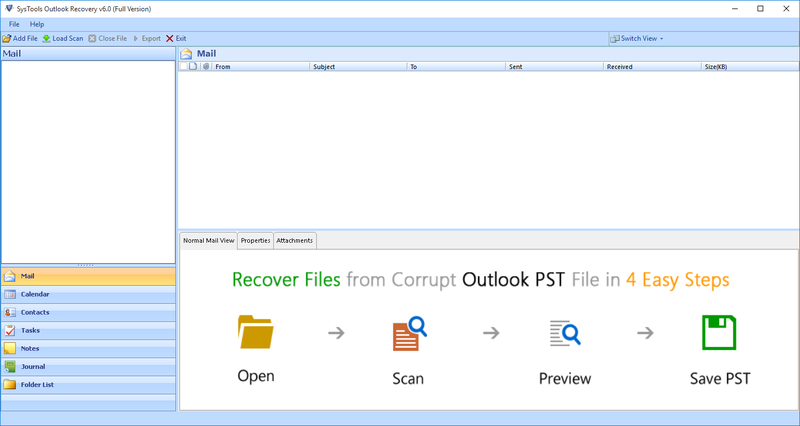 The time taken by outlook recovery tool to repair outlook file depends upon the level of corruption. If the file has minor corruption then less time will be taken but for high-level corruption, sufficient amount of time will be taken. What is the limitation of the trial version of outlook recovery tool? With the trial version of outlook recovery, you cannot recover permanently deleted the email and its attributes and you can only export 25 item per folder. How can I know that tool recovered the deleted emails also? 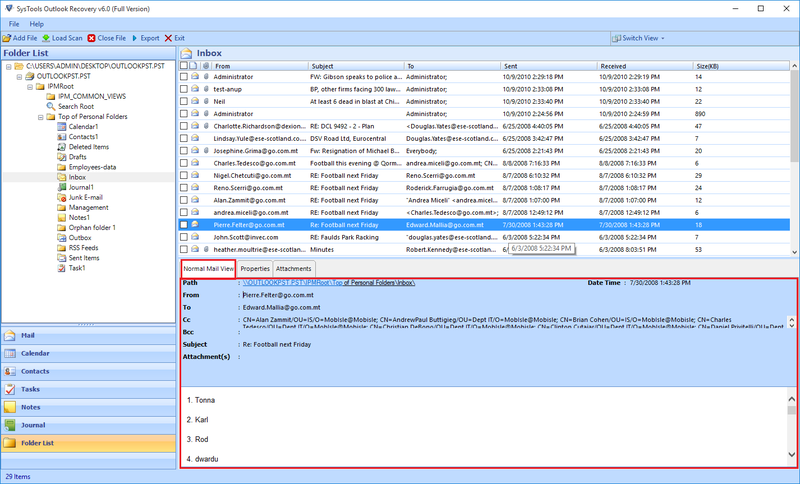 The Outlook Recovery tool automatically marked the deleted files or folder with red color so that one can easily identify deleted item from the piles of files & folders.